Live smart, hack life and level up your life with uncapped ADSL, geared for the user who doesn’t want to worry about exceeding their data cap, topping up or being left without connectivity. Unshaped bandwidth for the best performance and experience. Level up by adding Unlimited Calling for R171* and Showmax for R99*. **Vox reserves the right to apply its fair-use policy. Uncapped ADSL packages are more budget-friendly, aimed at the consumer who needs to be online, but who doesn’t wish to break the bank. Consumers get a fixed monthly bill. Be online, all the time! Feel comfortable that you’ll be online all month long without hitting a service-interrupting cap. Although Vox implements a fair usage policy, only your service speed is slowed down as you cross the three usage thresholds. We do not shape your Uncapped data. Our 1Mbps Uncapped service is not restricted at all, so you’ll get 1Mbps all month long and not have usage limits applied at all. Do I need a voice line/number from Openserve? Yes. The ADSL service requires that you already have, or install, an Openserve phone (analogue/copper) line. Once the phone line is installed, Openserve or Vox activates the separate ADSL service on this phone line at an additional cost per month. Can I use my Uncapped account on any ADSL line speed? The Uncapped account speed should be the same as your Openserve line speed, or slower. You cannot, for example, use a 4Mbps Uncapped account on a 2Mbps ADSL line. Can I use my Uncapped account on more than one router? Yes, but the speed of the service will be halved. E.g. if you use a 4Mbps service on two routers, each router will connect at 2Mbps. Why are the speeds quoted as ‘up to’? Openserve’s ADSL line speeds are not guaranteed. There are many factors which might affect your speed, so all ADSL services are called ‘best effort’ and are rated as ‘up to’ the speed in question. An up to 4Mbps service might only deliver a 3Mbps speed in reality. May I upgrade my Uncapped service speed? Yes, provided your Openserve ADSL service is also upgraded to accommodate the increase in data service speed, or is already fast enough to accommodate the new speed. How does the fair usage policy work? 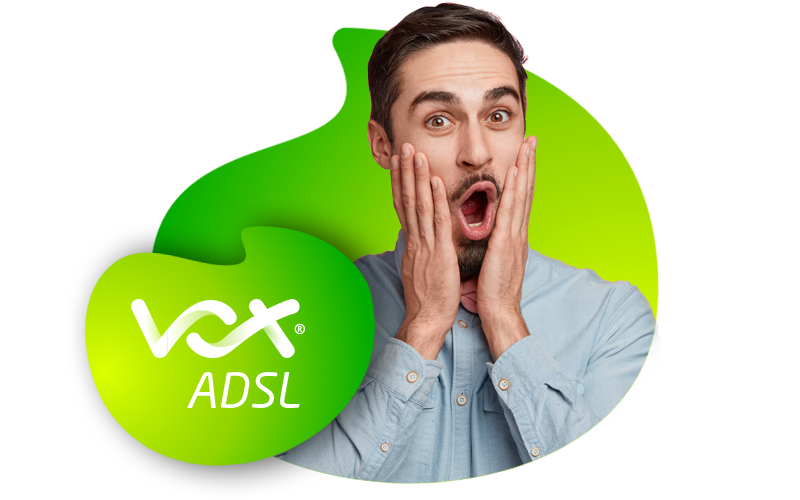 To ensure fair use of the ADSL network for all capped and uncapped ADSL subscribers, Vox monitors how much data has been used by the Uncapped ADSL service. Three data usage thresholds have been defined as more data is used. Each time a threshold is breached, the ADSL service slows down. See the fair use policy link below for more information.